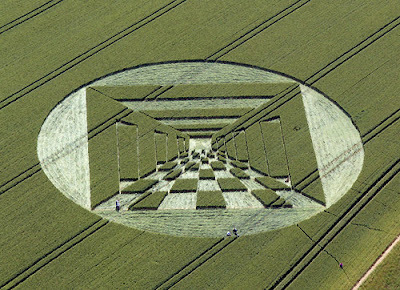 The 2007 '3D Checkerboard Hallway' (West Kennet Long Barrow) crop circle is investigated synchromysticly. We find hints of the divine working through the design, whether it be man-made or otherwise. The Pillarmid mega-ritual of 911 is connected to the crop mysteries and pop culture is trolled for supporting resonance. West Kennett Long Barrow, nr Avebury, Wiltshire. Reported 28th June. Some photos taken on my trip to research crop circles. All shots are taken near the West Kennet Long Barrow and it's immediate surroundings. Another 'Sigil' type (image below) circle very near the 'Checkerboard' with Silbury Hill in background (above). Ralph Ellis connects this 'Pyramid' to the mysteries of the Great Pyramid and more in, "Thoth: Architect of the Universe." Please have a look at a map of Canberra (Australia) with Google Earth. In particular, the houses of parliament that look across the lake to the war memorial. See, that is something I would never have noticed before. The connection to the Da Vinci painting. I really wonder who makes these... Thank you for posting the Moon song, it was so beautiful. 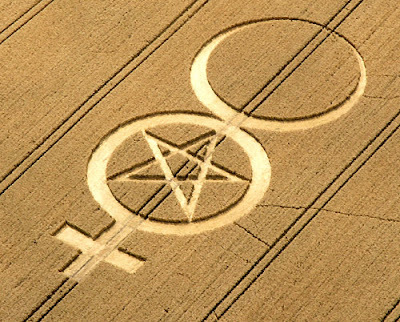 Did you actually stand in that crop circle? Thanks for posting some of your pictures from the trip! C: Been checking Google Earth and Canberra's parliament and war memorial and Lake Burley Griffin. Can you give us more of a hint at what you're getting at? I know it's a tad a-corny but the word Druid comes from the Welsh/ Cymraig word DERWYDD [ DE-roo-ith] which means OAK-DERW and SEER- WYDD. Very cool piece. Glad you made it home safely. Way back when, I had worked with Goro on an article featuring an analysis of that one crop circle, but I had not put together that observation you had about it being buildings 1, 2 AND 7.
had a nice one there of the Parlament complex in Australia. It is amazing how many Free masonic symbols are built into it. It leads you to think that it is completely ritualistic in design. Much more so that DC. It seems someone is really trying to make us understand something... My take on it is that it is consciously/intentionally done on the highest level where divinity and humanity is united. There is even a Platonion concept for this: "The Great Work". And your work is certainly GREAT as well in my opinion! Crop circles are terrestrial -- though orbital platforms play a role. The Freemason Illuminists who control Star Wars weapons (built by the lost Pentagon trillions declared publicly on Sept. 10, 2001) are using gamma rays, which leave exactly the same physical traces. That's why some people see balls of light (plasma) near the circles and why choppers show up, for visual check. It's a weapons test. Interferometric devices intersect to create plasma balls to draw patterns. It's also typical Freemasonry, putting symbols in your face to plant their flag. Basically they're laughing their heads off at the "profane" trying to understand crop circle messages. The real message is, "we own you." Clerks at N.R.O. sketch Freemason and "alien" designs on a PC, which are uploaded to orbit. Special mirrors steer the beams to earth. 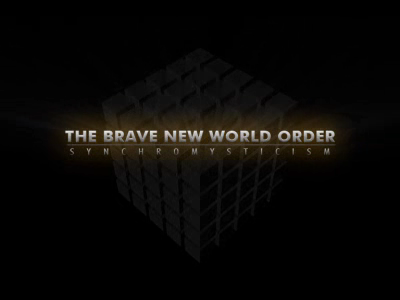 It's the psyop of Werner von Braun's warning - they want us to "believe" all these mysterious "alien" happenings, so when the "aliens" come, we "unite" under the Illuminists and surrender freedoms so they "protect" us in a world slave society. Your view is interesting, but if feels far to 'sure of itself' (dogma). It also sounds like you have an 'anti attitude'. Rather then being 'against' Freemasonry, why can't we be 'for' the things that we dont like about Freemasonry. I dont like secrecy and heirarchy, but I am not against Freemasonry. Opposing something creates negetive energy and it's 2007 folks! 2012 is like half a decade away. Let's evolve and drop the atagonism! 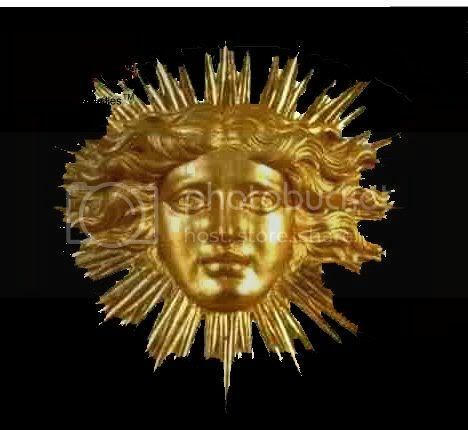 Pardon my for being blunt PWVB but we give far to much credit to Freemasonry and the materialist Illuminati. I dont think they are nearly smart enough to make many of those circles or the pyramids for that matter. Sure maybe Thoth type forces work through some of these blokes, but Thoth type forces are happy to work through any of us! There is definitely a Masonic connection to Canberra. One of our Prime Ministers (Robert Menzies) was supposedly a Mason and possibly many more. The original Parliament house is down the hill towards the lake (between the hill and the lake) and was constructed in the 80's or 90's during the reign of Hawke or Keating. But I don't know when it was designed. Canberra has a style that remined me a lot of Nazi Germany or especially communist Russia (I guess because many buildings were built in the 30's and 40's). The war memorial is creepy and you can clearly see the Masonic compass - and the building is a giant cross. (It really is an amazing view looking up the hill towards parliament house over the lake - about 5km). The Main parliament building looks just like that crop circle (checker chariots of the gods). Oh, and there is a "Hexagon" to the north of the parliament in the CBD. Canberra is a bugger of a place to drive around and find a park though.